Easy Banana Pudding Recipe - Must Try! If you’re not afraid to admit it, everyone has a sweet tooth now and then. I know I do, and so does my family! We love an easy banana pudding dessert any time of the year, but summertime makes it extra special! 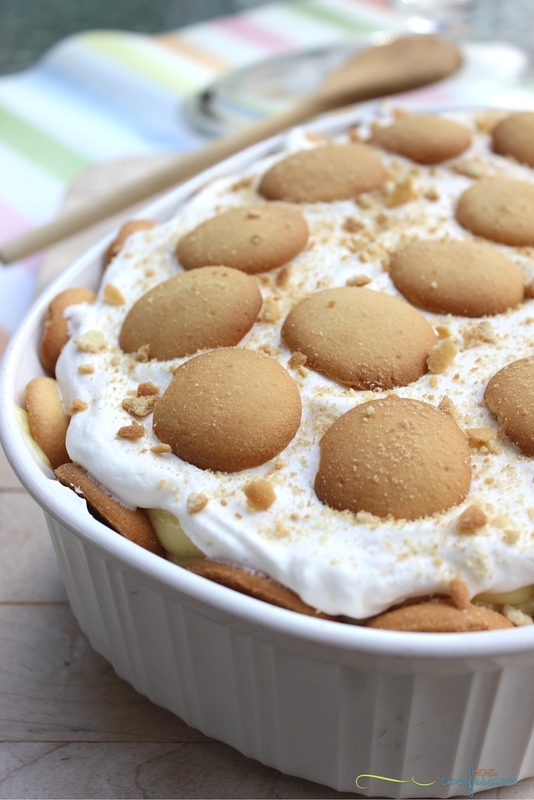 This Easy Banana Pudding Recipe is an ideal dessert to make any time of the year. 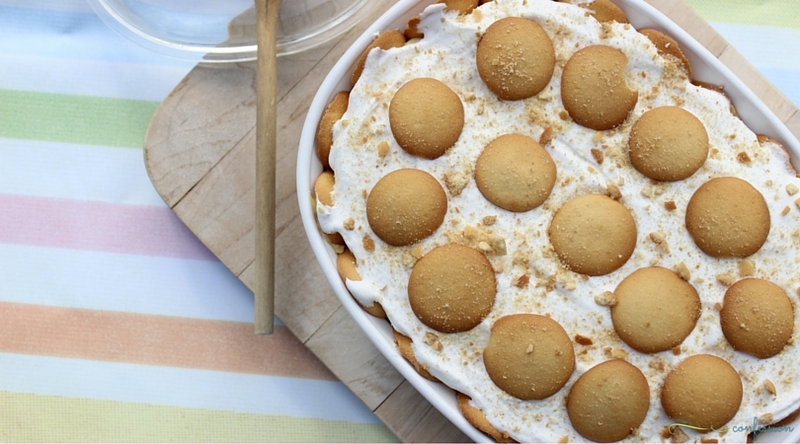 This recipe includes a mix of banana pudding, vanilla pudding, cool whip, bananas and vanilla wafers. 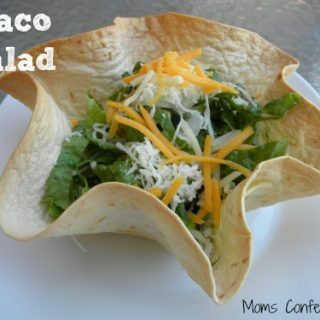 If I’m being honest, I would love to call this total deliciousness in a pan! Scrolling through Pinterest, you see all types of desserts that look amazing. When you try to make them, they look nothing like what you envisioned. Creating the Best Banana Pudding puts the idea of “simple yet amazing” desserts back into your kitchen. This banana pudding dessert doesn’t take anything fancy to make it, but it sure does taste completely delicious. I love taking this dessert to potlucks, family get-togethers, and holiday dinners. 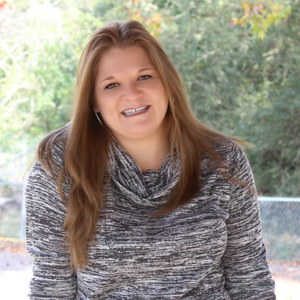 It’s inexpensive, and the best part is that everyone will love it without much effort on your part! 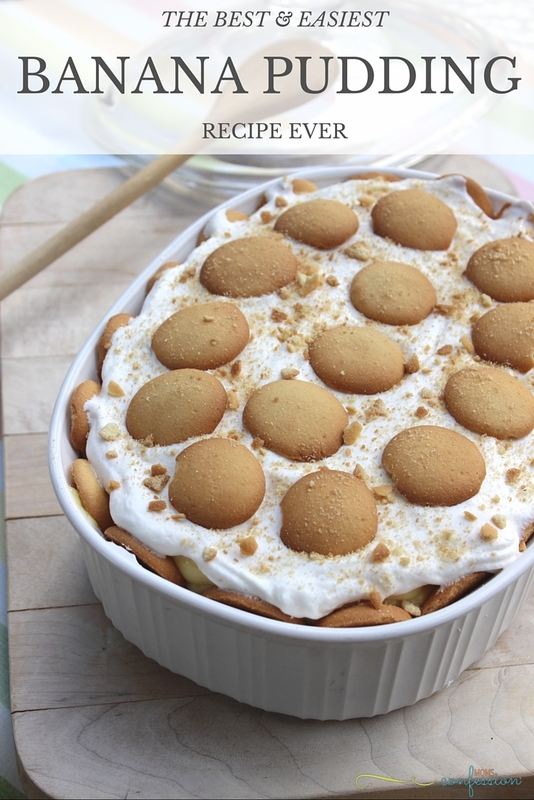 The Best Easy Banana Pudding Recipe Ever! Prepare vanilla and banana pudding according to the direction on the box. Fold together in a larger bowl or mixer (this is my favorite mixer). In an oval dish, place a layer of vanilla wafers. Follow with a layer of pudding mixture. Lay bananas over the pudding mix, making sure to cover each bite with bananas. Add a layer of cool whip. Finish a layer of vanilla wafers. Crushed vanilla wafers (optional). Get the printable easy banana pudding recipe below. It’s a small box, the recipe has been updated.